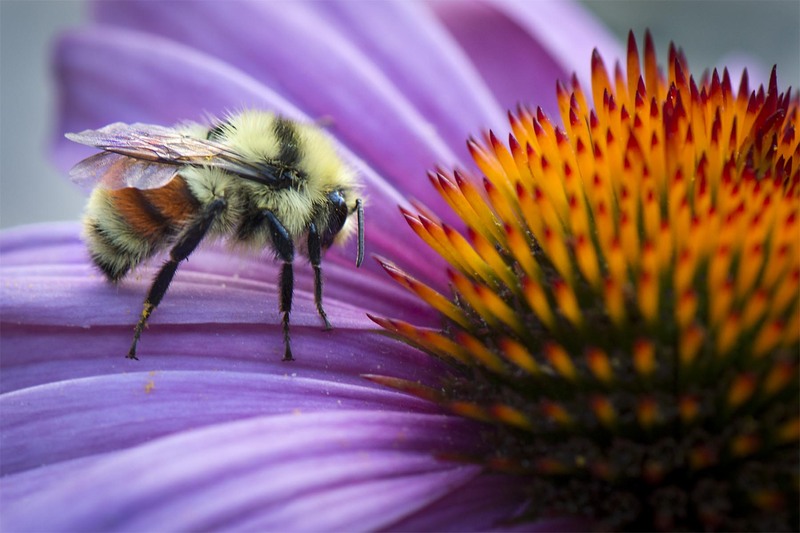 A Tri-Colored Bumble Bee getting acquainted with a Purple Coneflower. Although the introductions were awkward the date was a success. and a big hello back to you said the flower. Hope you week is off to fine start. I’ve yet to meet one of those. So pretty! HI, the tai-colored is my favorite little bee and we do hope you get to meet them one day. Hope your day is gong well and your week off to a fine start. Thanks and hoe your week is off to a wonderful start. Hi Eliza and my favorite little bee to boot.